A disabled man who was unfairly found “fit for work”, and then saw his benefits slashed by almost £180 per month after he was forced onto the government’s new universal credit benefit system, is seeking justice in the high court. It is the latest in a series of legal cases that have been taken on behalf of disabled benefit claimants against DWP, as a result of a series of welfare reforms introduced under successive Conservative and Conservative-led governments. The man, known as IM for legal reasons, had been claiming employment and support allowance (ESA), but after undergoing a work capability assessment he was told in March last year that he was no longer eligible for ESA. His jobcentre advised him to claim universal credit instead, which he did, but he also successfully appealed against the decision to find him fit for work. Although the Department for Work and Pensions (DWP) now accepts that he was unfairly found fit for work and that he has limited capability for work-related activity – the equivalent of being in the ESA support group – he has been treated as a new universal credit claimant. As a new claimant, he is not entitled to the severe disability premium (SDP) he previously received as a top-up to ESA. IM’s judicial review case has been taken by the Child Poverty Action Group (CPAG), which has described DWP’s policy as “irrational” and discriminatory. It has secured permission for a judicial review of the failure to provide IM with transitional protection after his move to universal credit, or, alternatively, the refusal to allow him to return to ESA. CPAG is taking a similar legal action on behalf of TD, a single mother with a disabled child, which will be heard by the high court alongside IM’s case. TD gave up her job to become a full-time carer but had her income support terminated when her child’s disability living allowance (DLA) was about to end and before it could be renewed. She was also told by the jobcentre to claim universal credit, which she did. Despite DWP eventually admitting that there had been a mistake, TD is now receiving almost £140 a month less under universal credit than she did when receiving income support. The two cases are expected to be heard together in the high court early next year. 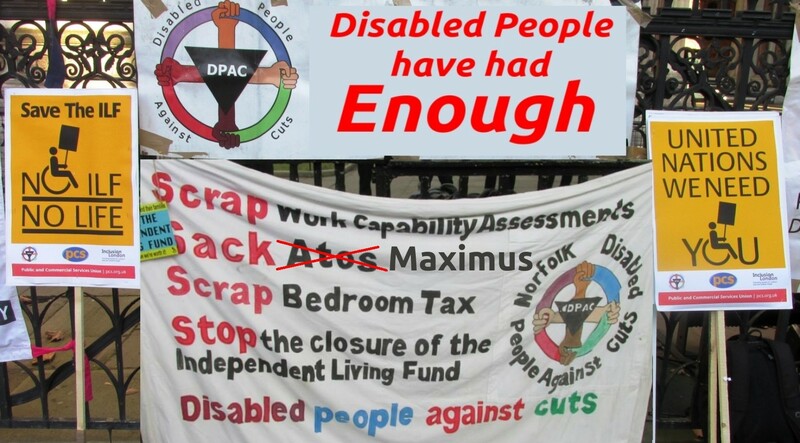 Disabled People Against Cuts (DPAC) welcomed the judicial review and warned that if it was not successful, many other disabled people would be affected in a similar way. DPAC said DWP was clearly engaged in “another cost-saving exercise”. A DPAC spokesperson said: “Financially, the incentive for DWP is to find as many claimants as possible fit for work. “Even if the decision is overturned, DWP is saving money by transferring claimants to universal credit. “This is clearly just more evidence that universal credit is beyond being fixed. Claire Glasman, from the campaigning organisation WinVisible – which supports disabled women – said: “Families are being devastated by abolition of income support, which is some recognition of caring work. And transitional protection and the severe disability premium- some good news ahead of the court verdict which is expected shortly. The Government has already made a commitment that anyone who is moved to Universal Credit without a change of circumstance will not lose out in cash terms. Transitional protection will be provided to eligible claimants to safeguard their existing benefit entitlement until their circumstances change. Today I am announcing four additions to these rules to ensure that Universal Credit supports people into work, protects vulnerable claimants and is targeted at those who need it. “In order to support the transition for those individuals who live alone with substantial care needs and receive the Severe Disability Premium, we are changing the system so that these claimants will not be moved to Universal Credit until they qualify for transitional protection. In addition, we will provide both an on-going payment to claimants who have already lost this Premium as a consequence of moving to Universal Credit and an additional payment to cover the period since they moved. Second, we will increase the incentives for parents to take short-term or temporary work and increase their earnings by ensuring that the award of, or increase in, support for childcare costs will not erode transitional protection. Third, we propose to re-award claimants’ transitional protection that has ceased owing to short-term increases in earnings within an assessment period, if they make a new claim to UC within three months of when they received the additional payment. The above changes will be brought in by new regulations in the Autumn (Universal Credit Managed Migration and Transitional Protection Regulations). Did you know the DWP had a policy which says they can communicate with Disabled people via email, if a person needs this as an access requirement. We often hear that in reality you have to fight hard to get them to agree to use an email. We need to change this. Inclusion London is working with lawyers to challenge the DWP’s failure to communicate with Disabled people in an accessible way. You can support this challenge by sharing you experience with us. If you have asked the DWP to send their letters to you via email instead of post, tell us what happened then. The more people we hear from, the stronger out challenge will be. Unite Community (Coventry and Warwickshire Branch) along with co-sponsor UCU and supporting organisations Peoples Assembly and Coventry Recovery Centre will be screening the film I Daniel Blake. If anyone is willing to help with either of these requests please contact the relevant person directly. I’m a TV producer based in Southampton looking into PIP and Motability. I’m looking for someone to film who is having to hand back a car and would like to speak to people who might be affected by this especially anyone willing to be filmed when their car is removed. Feel free to circulate this email. My name is Jemma and I am a Producer making a BBC Three documentary with Stephen Manderson, also known as Professor Green, exploring the issue of families raising children with low incomes across the UK. I came across your campaign group in my research and I am hoping you may be able to help. Stephen Manderson, grew up in Hackney and is an award winning rap artist and documentary filmmaker. The film we are making follows on from the success of his recent BBC Three documentaries: ‘Suicide and Me’ about his personal experience of losing his father to suicide and ‘Hidden and Homeless’. In this new documentary, Professor Green will set out to understand the experience of families facing hardship in the UK. As an important part of Stephen’s journey we would like to speak to families with children who feel their benefits status or payments shifted at a time when they were unwell or vulnerable. I completely appreciate the sensitivities around this area as many have lost loved ones which is heart breaking and I understand even more so where they feel they have been let down by the benefits system. I would like to open up a conversation with you at DPAC to see if you may be able to help us reach out to families who might be open to having an initial chat about their experiences with the DWP? If you would like any further information please do not hesitate to contact me on the below numbers or via email. I very much look forward to hearing from you. On 17th November the House passed a cross party motion to delay and review the proposed implementation of the ESA Cut of £29/week to new claimants of the ESA Work Related Activity Group. Disabled People Against Cuts are campaigning to have this cut cancelled but today we are asking you as MPs to lobby the Chancellor to postpone the proposed ESA cut until we know the details of the support on offer, and whether this support compensates adequately the loss of £29 per week for claimants in the WRAG. The ESA cut is worth £450m per year[i]. The employment support for claimants in the WRAG is only £60 to £100 million a year[ii] while the Work Programme received £500-£600 million each year[iii]. This represents a huge reduction in support for disabled people to gain work. This employment support will not benefit claimants who cannot and will not be able to work who are misplaced into the WRAG. These are people with progressive illnesses (1/3 of these claimants are initially placed in the WRAG)[iv], claimants given a 2 year+ prognosis (defined by DWP as unlikely to work again)[v], or claimants wrongly placed in the WRAG, who after Mandatory Reconsiderations or appeals move onto the Support Group[vi]. This same group of claimants will not benefit from the flexible support fund, a discretionary fund, which provides local support for costs, related to getting into work, such as travel to and from training and travel costs when in work, for the reasons mentioned above. Deals with third parties to help with expenditure not directly related to employment: broadband costs, phone charges, energy costs and insurance. That could be the only scheme likely to benefit the type of claimants we mentioned. The Minister for Disabled People has given assurance that these schemes will fully compensate for the loss of the payments for new claimants[ix], but because of the flaws in the Work Capability Assessment, the claimants in the WRAG who need the most support because they are unable to work, and have no prospect of moving into work ever again will be the most severely penalised. We already know that a third of ESA recipients are running a budget deficit[x], and that 49% of disabled people rely on credit cards or loans to pay for everyday items such as food and clothing[xi]. This ESA cut is the last thing they need. Today Damien Green announced a consultation into the Work Capability Assessment a toxic and lethal test of disabled peoples’ ability to work. DPAC have consistently called for this to be completely scrapped as in spite of numerous attempts to reform the tick box computer tests they are still not fit for purpose. How many times do you keep trying to fix the unfixable? It comes as no surprise either that Disability Charities welcome the changes which are being consulted on – why wouldn’t they after all there’s likely to be lots of financial pickings for them from the further misery of disabled claimants. Already Tom Pollard previously Campaign and Policy Manager for MIND has taken his thirty pieces of silver and moved to work for the DWP. Now like Lord Freud the banker who wrote the guidelines for welfare reform for New Labour in 3 weeks and without any previous experience of our social security system Damien Green today has said “In the long run there is nothing more expensive than saying to someone, ‘Here’s a benefit you can have for the rest of your life…” Not that I’m sure what he means by that since this does not happen and disabled people face continuous repeat assessments to ensure they haven’t grown back any limbs or had a miraculous cure. The consultation announced today places an emphasis on getting all disabled people back into work as fast as possible on the false assumption that working in a zero hours or low paid dead end jobs may somehow improve people’s health outcomes. Green seems to particularly single out forcing people with Mental Health and Musculoskeletal conditions back into work as fast as possible for as long as possible. Musculoskeletal conditions include osteoarthritis, rheumatoid arthritis and fibromyalgia. This is against a background of massive cuts to MH services to help those with a MH condition receive the support they need. Added to which there are caps to the Access to Work budget , social care funding has been slashed, to access train services in many cases disabled people have to book 24 or 48 hours in advance, Disabled Students’ Allowance has been cut making it more difficult if not impossible for young disabled people to gain qualifications, and people are being forced to give up work as they lose entitlement to PIP and their Motability vehicles are taken away. Further between 2011 and 2015 the number of Jobcentres employing a full-time advisor to help disabled people navigate the support system and find employment fell by over 60 per cent from 226 to just 90, with reductions in every recorded year. Does Damien really not understand that without the right support services in place disabled people even if they want to cannot work? Is it really too complex for politicians to grasp that support services must be available to allow disabled people to work if they want to and feel able to. Do they really not understand that for some disabled people working is not and never will be an option? And what of employers? of course they’re queuing up to retain and employ disabled people and all workplaces are accessible as we all know. The much lauded Disability Confident campaign resulted in a whopping 40 private firms signing up in 3 years. But not just Damien also Jeremy Hunt, the much trusted health secretary also suggests getting people back to work had major health benefits. He is reported to say that as it cost £7bn a year to treat long-term health conditions that kept people out of work, and employment could be a part of recovery. Duncan Selbie, chief executive of Public Health England, said “People in work generally have better health.” Something that I would have thought is obvious as people not in work often have long term health conditions or impairments which prevent them from working. Thus an utterly meaningless statement if ever I’ve heard one. One particularly worrying statement is “No one wants a system where people are written off and forced to spend long periods of time on benefits when, actually, with the right support they could be getting back into work.” Which we feel means they plan to scrap the Support group. This would certainly fit in with the announcement on October 1st when Damien Green announced there would be an end to repeat WCA assessments for people with permanent or progressive conditions. There was little detail on the announcement with more questions being raised that answers given (such as which conditions would be excluded from repeat assessments) The DWP promised to release guidelines to clarify exactly what this change means – to date no such clarification has appeared. Dear Damien find an employer for this person. I know having to work as well as survive will help her wellbeing. Please note Damien at the moment she has no money to feed herself or her family due to the barbaric and flawed WCA assessment. “I am writing this email as I feel desperate and alone after I had a phone call today saying I scored 0 points on my esa assessment. I don’t know where to turn or what to do. I will start from the beginning. From being young I have had hip disabilities and went through many many operations between the ages of 12 and 19. In my early twenties I broke my left hip 4 times. Also in my early 20’s my spine started to deteriorate and to date I have had 3 emergency operations to try to correct this. During one operation I was left with that much damage and scar tissue I have loss of feeling and severe foot drop in my left foot. Due to my hip problems I have arthritis in both hips and I am awaiting hip replacements in both hips. Due to my left femur being broken 4 times it is no longer straight meaning the hip replacement surgery will be very difficult which is why my surgeon is trying to leave it as long as possible as the surgery could end very badly. I have suffered with chronic pain all my life but have always worked until earlier this year when I had my contract ended by work as I was no longer fit to do my job due to my disabilities. This is when I started claiming ESA. Recently I have had major changes to my health leaving me doubly incontinent. I have to self catheterise twice daily. I am experiencing that much pain I am taking copious amounts of medication including morphine every 3 hours. My mobility is very restricted and my partner has had to give up work to care for me. I can’t cook, clean, go to the shop. My emotional and mental health is suffering terribly and I am on anti depressant medication. I attended my ESA assessment last week and the decision maker telephoned me today telling me that I had not scored any points at all during the assessment and my benefits have been stopped. Because my partner has come out of work our tax credits claim was ended and we have had to re apply meaning we are not receiving any money from tax credits at the moment. The only money we had support us and our two children was the ESA payments of £72 per week and £36 per week child benefit. When the advisor phoned me with the news today I broke down in the phone. I feel as though I am on the verge of a nervous breakdown. I can not go to work as I am too unwell. I spend a lot of my time feeling sleepy and not with it due to my medication, I can not control my bowels, I am in constant severe pain, my mobility is limited, my bladder does not empty itself so I have to self catheterise, I have short term memory loss and confusion due to medication, the list is endless. As the rent is now not being paid and with our previous arrears which I was paying off before this I am terrified my kids are going to lose their home. I can’t put food in the cupboards, gas and electric on. I feel hopeless and desperate. I don’t know how this works. I have always worked I am not trying to get anything under false pretences. If I could work I would. I have lost my independence and I feel that the DWP are taking away my dignity along with it by making me beg to be able to live. Contact a Family have advised the following for anyone who has a disabled child or is a carer for an older adult. We think this advice should also apply to anyone who might qualify for PIP and who hasn’t yet claimed. Over the next ten days the Department for Work and Pensions (DWP) will write to all those families who are going to be affected by changes to the household benefit cap in November. These letters will be sent out between 19 and 29 September. If you have a disabled child but haven’t claimed DLA/PIP for them yet, think about doing so now. Getting an award of DLA or PIP at any rate will mean you don’t have to worry about the benefit cap hitting your family. If you are disabled and think you may qualify even for the lowest rates of PIP please apply now. The household benefit cap limits the total amount of benefits that an out of work family can receive. At the moment the cap is £500 a week for lone parents and couples. However, from 7 Nov 2016 the government intends to lower this figure to £442 in London and to £384.62 elsewhere for couples and single parents with children living with them. For single people without children the cap will limit overall weekly payments to £296.35 in London and £256.69 outside Greater London. An extra 88,000 households are expected to be affected by this lower cap. If your benefit income is above the cap then the excess amount is cut from your housing benefit, or from your Universal Credit if you get this instead. The cap is lower for single people without children. Are families with disabled children exempt from the household benefit cap? All families with a dependent child on DLA or PIP are exempt from the cap. It doesn’t matter what rate of DLA or PIP your child gets – even if they only get the lowest rate you will still be exempt from the cap. Am I still protected from the cap if my son or daughter stops being treated as a dependent child? If a disabled child aged 16 or above either leaves education, turns 20 or claims certain benefits such as Employment and Support Allowance, they stop being treated as a dependent. This means that their parent may then lose their exemption from the benefit cap. However, the government has said in the autumn it will change the benefit cap rules so that you are also exempt if you are entitled to Carer’s Allowance or get a carer element in your Universal Credit. These changes to the rules for carers will help some parents who care for a disabled young person to remain exempt from the cap despite their child no longer being a dependent. These changes for carers have already been introduced in Northern Ireland. Payments towards carer’s costs in Universal Credit won’t be affected by the benefit cap from autumn 2016. If you have adult children or non-dependants living with you and they qualify for any of these benefits, you may be affected by the cap. This is because they’re not usually included in your household. Following the winning of two Bedroom Tax cases this week by the grandparents of a young disabled man and the survivor of domestic violence in the Court of Appeal the government announced within hours that it intended to appeal against this decision and has allocated an unlimited amount of our money to defend their totally unjust policies. “Justin Tomlinson: We are not ignoring the ruling; we are appealing it. party, it would have cost £26 billion this year.”…..
Until this appeal has been heard in the Supreme Court anyone currently appealing against a bedroom tax decision will have their appeal ‘parked’ pending the outcome however in the meantime the government has produced new guidance for anyone affected specifying that their extra costs should be met from a Discretionary Housing Payment. The Court has found that the claimants have suffered discrimination contrary to A14 of the European Convention on Human Rights. However, the Court of Appeal repeated the finding at first instance that the Secretary of State had complied with the Public Sector Equality Duty. The Court has granted the Secretary of State permission to appeal the decision to the Supreme Court, and it is the Secretary of State’s intention to appeal. No action needs to be taken by local authorities following this judgment. It has not changed the applicability of the maximum rent (social sector) provisions and no action should be taken to re-assess the Housing Benefit (HB) of claimants in the appellants’ situation. The Department remains of the view that Discretionary Housing Payments (DHPs) are the appropriate means of protecting HB claimants in the appellants’ circumstances. Provided below are some Q&A to enable you to respond to any enquiries you might receive. Is the government going to appeal? The Court of Appeal granted permission to appeal and it is the government’s intention to appeal. What does this mean for claimants with panic rooms or a disabled child who requires overnight care? The maximum rent (social sector) must continue to be applied to all claimants as before yesterday’s judgment. As a local authority should we continue to apply the maximum rent (social sector) in these cases? Yes, the legislation underpinning the size criteria remains in force. DHPs remain the appropriate mechanism for providing support where there is an under-occupancy deduction because of a panic room or a bedroom used to accommodate an overnight carer for a disabled child. We know that although DHPs should be being made to people this is yet another post-code lottery and whether or not you get one and how long it is for varies from one LA to another. We know that some LAs take DLA into account as available income when they should not do so. You can’t appeal against being refused a DHP but you can still challenge it being refused through a Judicial Review. DPAC would encourage anyone who is refused a DHP to seek legal advice with regard to making a legal challenge against being refused and also they should apply again. (It is possible to have more than one JR against refusals at the same time). Disabled people need Rights not Charity or Discretionary Payments and access to this right was proven in a previous case relating to Local Housing Payments using right enshrined in article 14 of the European Convention of Human Rights. In particular the arguments used by the solicitor representing Trengrove vs Walsall Metropolitan Borough Council are particularly relevant in arguing this. We need people who would be willing to speak to the press who are in ESA WRAG about the £30 a week cut to funding which is being proposed and how this would affect you. We also need to have anyone living in Supported Housing who will be affected by the cuts to Housing Benefit and the amount allowed being restricted to LHA rates. DPAC has become aware of a number of serious issues in relation to the ESA50 form. In fact, the evidence received seems so extreme as to be almost unbelievable but a pattern has started to emerge. For example, this month, a benefit claimant has been refused ESA (and a mandatory reconsideration upheld the decision), based on an assessment, but also based on an ESA50 form which 2 years earlier contributed to the same decision. But 2 years ago, the ESA decision was found to be flawed and overturned by a tribunal. Still, the same ESA50 form was used again this time by Maximus and the claimant has for a second time appealed the decision. But of course, this time, he has had to wait for the Mandatory Reconsideration outcome on no income before being allowed to lodge an appeal. Another claimant was awarded ESA 2 years ago on the basis of the ESA50 he submitted, and was not required to undergo a face to face Work Capability Assesssment. But this month he has been asked to attend a WCA with Maximus without having to submit a new ESA50. So assuming that Maximus is again using the same earlier ESA50 form to assess his capability for work, it should lead to the same conclusion that a face to face WCA is not needed to decide that he is entitled to ESA. This does not make sense, and disabled people deserve much better than this. While Maximus has shown itself to be fairly accomodating and prepared to accept more recent ESA50s and a reasonable deadline for completing the form when requested by claimants, that is just not good enough. Claimants should not have to argue their individual case in order that Maximus fulfill their contractual requirement for the issuing of ESA50 forms, nor should they have to negotiate a deadline for completing and submitting the form when DWP has decided that 4 weeks are necessary to do so. The WCA is desperately flawed and badly failing many claimants, as shown by the recent story of a woman who was found fit for work although she has Parkinsons disease and a brain tumour, http://www.mirror.co.uk/news/uk-news/woman-parkinsons-brain-tumour-ruled-5822041, which is why DPAC has repeatedly called for it to be scrapped, but in the meantime claimants deserve to be treated fairly, consistently and lawfully in their dealings with Maximus. DWP’s argument for reassessing claimants endlessly is that medical conditions can vary, which makes the re-use of a 2 year old form unjustifiable, and this has been criticised by tribunals which have had to decide on these cases. Likewise, claimants who are given less than 4 weeks to complete their ESA50 forms are placed at a substantial disavantage compared to claimants who benefited from 4 weeks to do so. Anything less would be unacceptable and probably unlawful. Response to article in Daily Mail “£1million sign language fraudsters guilty of scamming taxpayer to fund luxury holidays including claims to work 21-hours-day”. (DWP) via the Access to Work scheme. The story misrepresents the hundreds of professionals who provide an essential service and take an average of seven years to train. The National Union of British Sign Language Interpreters (NUBSLI) have checked the names of the individuals involved and can confirm that neither of the two individuals being charged were members. Whilst we believe Angela Poole may have been registered as a British Sign Language (BSL)/English interpreter, George Taylor was not. Prior to any allegations of fraud being made, BSL/English Interpreters/translators have been calling for Access to Work to improve their processes and communicate how both professionals and Deaf people could safeguard against fraud. These concerns were raised due to the large numbers of unregulated agencies being used by the DWP. The DWPs failure to monitor agencies is clear. Whilst NUBSLI remain outraged by the behaviour of the two individuals involved, important questions need to be asked of the DWP. The #ScrapTheFramework campaign (http://www.nubsli.com/our-work/scrap-the-framework.php) was recently established to oppose the governments bid to establish a national framework for interpreting and translating. The initial drafts of the framework did not provide adequate safeguarding or a requirement for interpreters to be registered. Agencies have the potential to use unqualified people and charge extortionate amounts whilst driving down the fees paid to properly regulated qualified interpreters and translators. The article in the Daily Mail was a direct attack on both BSL/English interpreters/translators and members of the Deaf community. With the government pushing ahead with caps and changes to the Access to Work scheme that will see Deaf and disabled people struggle to keep their jobs (for more information go to: https://stopchanges2atw.wordpress.com), and the Crown Commercial Services are trying to establish a framework to drive down interpreters fees, the timing of this article is no coincidence. NUBSLI will be meeting the new Minister in July to explain more about the BSL/English interpreting profession and the importance of only using registered fully qualified or trainee interpreters. They will also take the opportunity to remind government rely on BSL interpreters to fulfil their basic statutory duties to Deaf BSL users. Motability have introduced changes to their grant making conditions discriminating against disabled people with the highest support needs who are unable to work for a minimum of 12 hours a week, carry out at least 12 hours voluntary work (which apparently can’t be internet based but has to be outside the home and doesn’t include travelling time), are not in education for at least 12 hours a week and who need specialised adaptations to transfer to drive or drive-from-wheelchair vehicles. These changes have not been made publicly known or advertised to current customers in any way about who is eligible for a grant and the changes were made without any consultation. We understand these changes were made from June 1st this year but customers are only being told about them when they enquire about a grant for a replacement vehicle. The impact of these changes which affects those with the highest and most costly needs are potentially life-changing. It could well prevent people having contact with family (let alone friends) if they live in a rural area with little or no transport, it means anyone who can only travel with equipment like hoists. Oxygen cylinders and other bulky items won’t be able to go anywhere. It also ignores the fact that with other cuts to services people will not be able to ensure they have the physical support from someone else to drive them. We have sought legal advice to see whether these changes can be challenged as discriminatory and now need to hear from anyone who is or would be affected by these changes in the near future and who would qualify for legal aid. In particular we want to hear from anyone who currently does not have a vehicle and has been refused the right to apply for grant funding. Make sure you can vote-vote the Tories out! 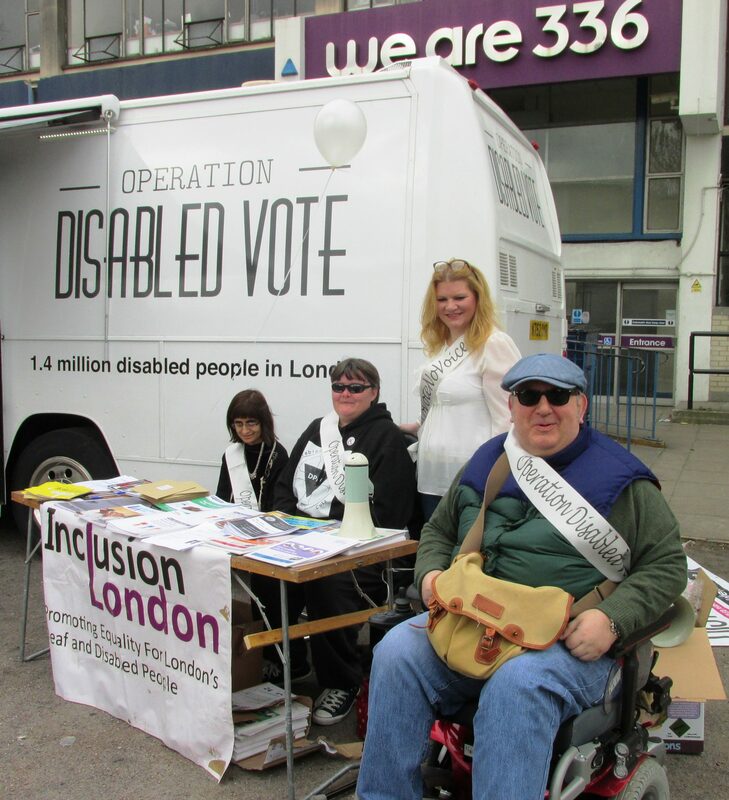 Here are some pictures from the launch of the Operation Disabled Vote London Bus Launch which took place in Brixton and Croydon on Monday 13th April. Sabina Lahur at the information table operation disabled vote brixton.Sabina Lahur at the information table operation disabled vote brixton. Staff members from People First (Brixton) left to right, Andrew Lee, Ray Johnson, Amy (Campaign and Policy officer for People First) and Stephen Asleford at the launch of Operation Disabled Vote. 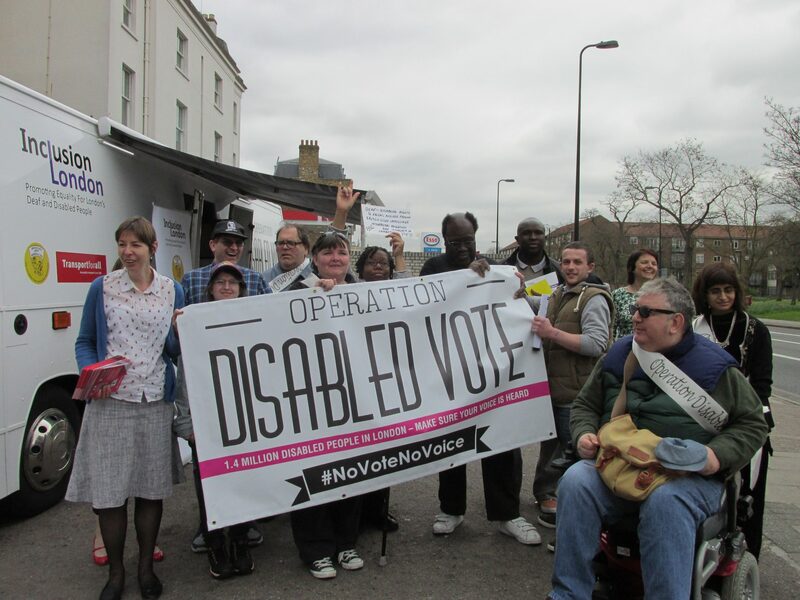 Group photo outside the Operation Disabled Vote bus at Brixton. 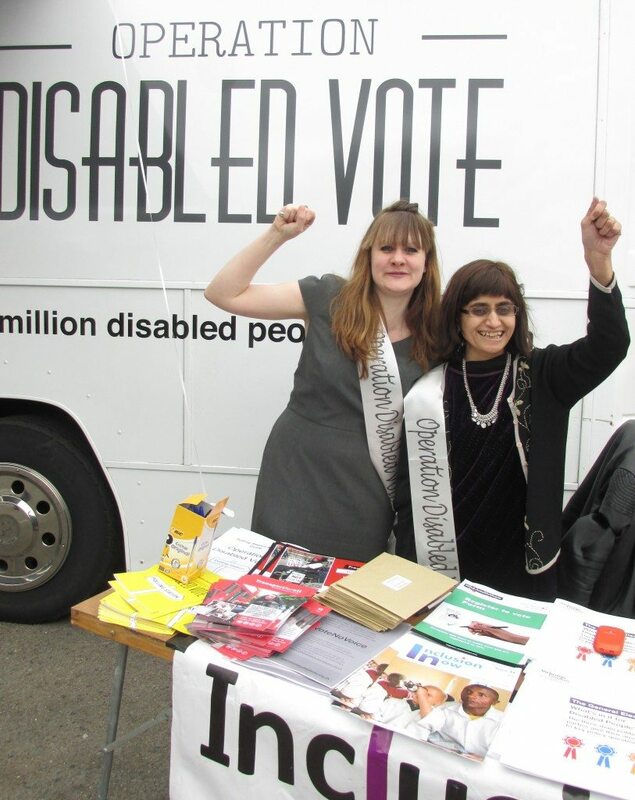 Ellen Clifford and Sabina Lahur at the information table on the Operation Disabled Vote bus launch in Brixton. Stephen Asleford sitting in the Operation Disabled Vote bus. Roger Lewis at the launch of Operation Disabled Vote bus launch in Brixton. A complaint to the United Nations was today launched on behalf of disabled people in the UK whose rights have been breached by the closure of the Independent Living Fund (ILF). 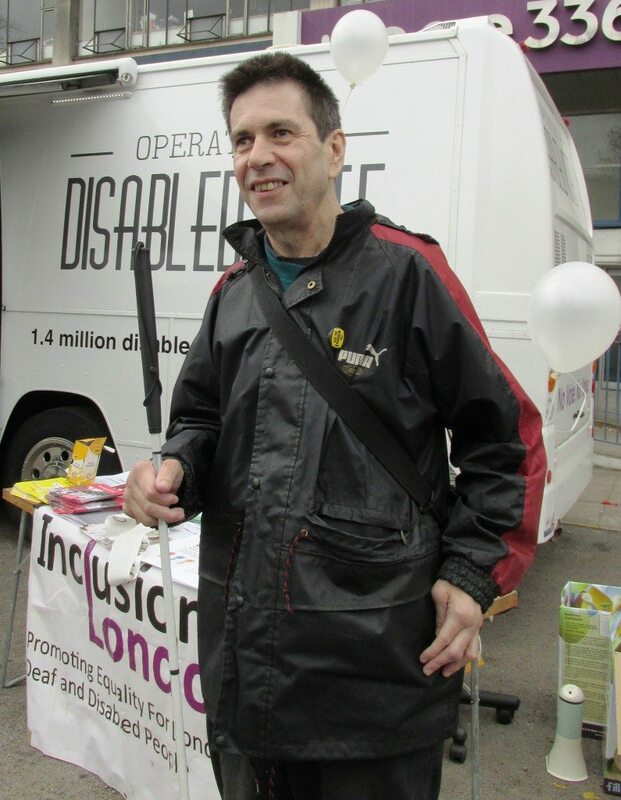 The ILF, which is the subject of an on-going and desperate battle between disabled people and the Department for Work and Pensions (1), is high on the priority list for disabled people deciding how to vote at the forthcoming election. The complaint brought by Inclusion London (2) on behalf of two disabled women, Nicky Baker and Dr Melanie Wilson Jones, alleges that the government has violated Articles 17, 19, 20, 30 and 31 of the United Nations Convention on the Rights of Persons with Disabilities (UNCRPD), ratified by the UK in 2009 (3). The Independent Living Fund was set up in 1988 to support disabled people with high support needs to live in the community when the alternative was residential care. Since then it has helped thousands to live active and full lives, contributing to their communities and participating in education, employment and volunteering, family and social life. It is an effective way to provide support with both low cost overheads and extremely high user satisfaction rates (4). On 13 December 2010 without any consultation or impact assessment, it was announced that the ILF would be closed permanently to new applicants. A ministerial statement was made referring to “informal consultation with disability organisations” but there is no record of this consultation (5). Since then, disabled people who missed out on the Fund have been left without the support they need to take part in day to day life and disabled people’s life chances have dramatically fallen. Meanwhile the government has failed to monitor the impact of the closure. 1) The future of the ILF has been the subject of two legal challenges: the first was won by disabled claimants at the Court of Appeal in November 2013 and the second was lost in the High Court in December 2014. There have been continued protests and direct actions led by disabled people and their supporters since 2010, including in June 2014 the attempted occupation of the grounds of Westminster Abbey. 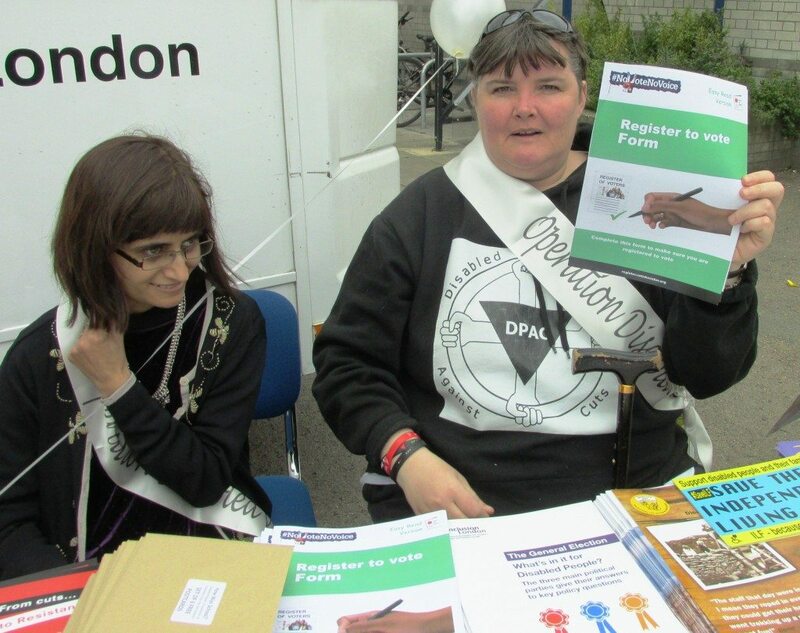 2) Inclusion London is a pan impairment pan London Deaf and Disabled People’s Organisation (DDPO) which provides policy, campaigning and capacity building support for London DDPOs. 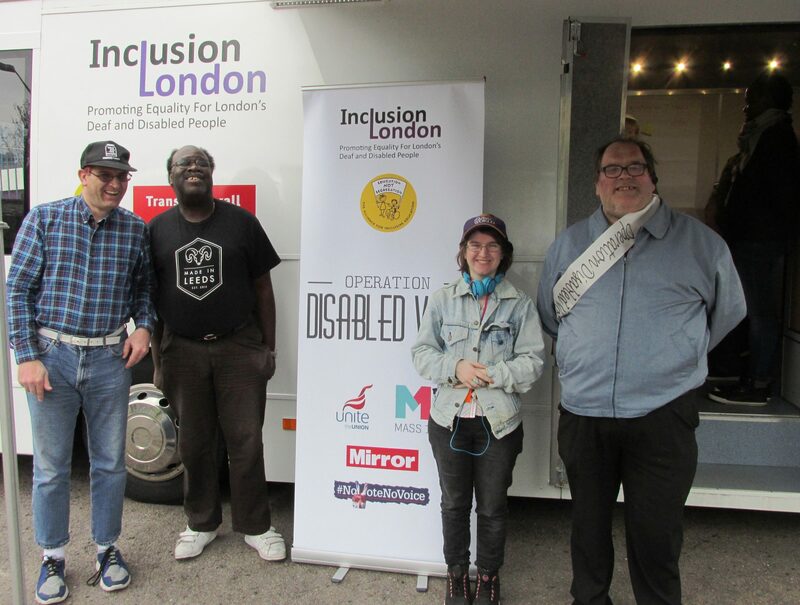 Inclusion London promotes disability equality and has been working with the disabled people led campaign Disabled People Against cuts to support ILF recipients in the campaign to keep the ILF open. As an occasional reader of your blog and website I am writing from New Zealand. There have been developments here that may be of some interest to you in the UK also. We have had major, some will say draconian, welfare reforms here in mid 2013, which also affect many disabled people on benefits. So far we have not had quite the same level of pressures put on persons with serious, longer term sickness and with physical and mental impairments as the DWP and their assessor ATOS put onto persons with the same conditions in the UK. But as the “reforms” are kind of “evolving”, and gradually being implemented, I fear that we are heading down a very similar path as has been followed in Great Britain. So your former Provider of assessments ATOS will be replaced by US corporate MAXIMUS, while the WCA (Work Capability Assessment) remains little changed. That means there are likely to be little if any “improvements” coming to the disabled people already harassed with work capability assessments and the continued “tightening” of the welfare system in the UK. 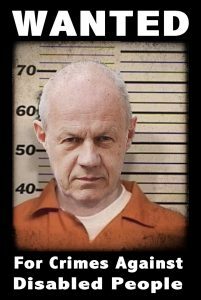 We have here in New Zealand also had a few of the dubious, obviously hand-picked and biased UK “experts” – using a perverted version of the “bio psycho social model” approach – come here to “advise” our government on “welfare reforms”. One was Professor Mansel Aylward, who has visited here a few times now, and another was Dame Carol Black. There is also a “President” of the so-called AFOEM (Australasian Faculty of Occupational and Environmental Medicine), by the name of Dr David Beaumont, who once worked for ATOS in the UK, and he has helped introduce Aylward’s theoretical teachings and approaches, that have now been widely accepted and adopted by the medical professional organisations for Australia and New Zealand “google” AFOEM and RCAP). Like in the UK attempts are made to tie in and put “expectations” onto doctors and other health professionals, to cooperate, and deliver the results the welfare agencies and governments here want. The New Zealand and Australian governments seem both hell-bent to put more pressure on chronically ill and disabled people to get them into whatever kinds of jobs, while there are few suitable employment opportunities, and while employers are not by law expected to employ disabled, and to provide truly suitable work places and conditions. The focus is clearly on cost savings, and on reducing welfare numbers, and all else is more or less window dressing, to make the “reforms” look acceptable. Hence a similar approach to the one used in the UK is applied here now, but in a slightly different way, where they are trying to avoid some “mistakes” that were clearly made in the UK. Nevertheless, we are in New Zealand faced with a very bizarre work ability assessment approach, which allows the assessors and the case managers of “Work and Income” (our equivalent to the DWP) endless DISCRETION. The last Reviewer of the DWP’s WCA now appears very interested in how New Zealand has “reformed” welfare and uses work ability assessments. But this should send warning signals to disabled people and others that may be affected in the UK. By looking more closely at what they have so far done in New Zealand, it can hardly be useful for the UK as a “model” to follow. The New Zealand department “Work and Income” is as part of the Ministry of Social Development (MSD) actually conducting experiments with disabled people , trying out various assessment and job referral approaches, now increasingly provided by outsourced providers. There is little legal certainty and consistency in the system here, and this makes it very difficult for affected “clients” to challenge decisions, and to ensure they get a fair and reasonable treatment, that can also be based on clear legal and medical scientific guidelines. So perhaps have a look at the information I can offer via the links below. Keep up the good work with your movement, despite of times being very hard and challenging. From 1st March Maximus took over the contract for carrying out the notorious Work Capability Assessment. Disabled campaigners and our supporters are clear that simply altering the provider will fail to correct the gross injustice that the WCA represents. This is an assessment that seeks to redefine who is and is not disabled in order to push the most disadvantaged members of society off benefits while lining the pockets of the private sector with public money. Maximus, a company with a history of disability discrimination and improper practices, will be paid more than double what Atos was for the contract. Meanwhile very little will have changed: Maximus will be using the same buildings, many of which are not accessible to disabled people, assessment staff will still not necessarily have any knowledge of the conditions they are evaluating, and, most significantly, the fundamental flaws of the assessment which tests functionality as opposed to employability will continue. The only way to ensure a fair and just social security system is to scrap the Work Capability Assessment and bring benefit tests back within the public sector. The new national framework for interpreting and translation will affect interpreters (spoken language, Deafblind and British Sign Language), translators (foreign language, British Sign Language, Deaf translators) speech-to-text reporters, lip speakers, and note takers. In the interpreting community we have already experienced privatisation in the courts with the Ministry of Justice framework being run by Capita. Despite this being a failure and criticised heavily in an independent review, Crown Commercial Services look set on widening privatisation of interpreting to cover every publicly funded service in the UK. The intended outcomes of the framework agreement – both to save money and ensure quality provision – cannot possibly be achieved. Following on from the disastrous consequences of changes made to Access to Work, the employment support programme for Deaf and disabled people, as well as issues of unqualified people being used as interpreters, the BSL interpreting profession is in a state of decline. Almost half of all NRCPD registered interpreters responded to a survey by he National Union of British Sign Language Interpreters (NUBSLI) recently. The results showed that 48% of respondents are thinking about leaving the profession. A considerably depleted workforce would, as in any market, drive fees upwards. To de-professionalise the industry would have detrimental effect on the Deaf community and set access levels back to those last seen twenty plus years ago. The consequences of a framework which covers areas such as health, mental health, social services including child protection and other safeguarding areas could be catastrophic. Without qualified interpreters, clinicians and other professionals cannot complete their work safely. The risks to the Deaf community are unimaginable. We could, without exaggeration, be talking about loss of life and liberty. We therefore request that this work ceases and alternative solutions a sought with the full consultation of the experts in this sector: the Deaf community and BSL interpreters. Your experience of Universal Credit? We know that IDS’ Universal Credit has been a disaster in wasted costs and scrapped IT. The hallowed tax payer ( i.e poor people not the wealthy who have a set of schemes to avoid tax) have footed the bill for this. We know that lives have been destroyed, people left without cash, mounting rent arrears, and have lost their homes too- the system is not fit for purpose. Channel 4 are now doing a program on Universal Credit and how it has affected those it was supposed to help. Please let them know your experiences to give this destructive folly and its impacts a public airing. We are aware that many disabled people are having problems with the way the new Personal Independence Payment (PIP) system works, and many people are having to wait a really long time for an assessment or decision. We know some people are waiting months, which is unacceptable. We are also looking for ESA claimants who have been sanctioned, or threatened with a sanction, because they have not been able to undertake work related activity for some reason which is connected with their disability. For example, the claimant cannot attend training because their mental health problem prevents them from travelling or from working in a group of people they do not know. In such a case, we could argue that the DWP should make reasonable adjustments such as providing them with training via the internet or providing them with means of travel to training as appropriate. The best time for a case to start is probably at the point when a sanction has been threatened and before it is imposed, but get in touch if your benefit has been reduced as well. We also hope that the question of the lawfulness of sanctions can be looked at as well but need some individual cases first. While Labour profess to support fully the right to live independently for disabled people we are now in a situation following plans to close the Independent Living Fund where England is left as the only UK country which will not have it’s own form of a fund to continue to support the additional funding requirements of those who have high support needs. For any political party to say they want disabled people to have the same rights, choices and chances as any other citizen rings hollow without a commitment to keep in place even if on a temporary basis the funding necessary for this to happen. The Labour Party’s official response to many people who have contacted them with regard to supporting keeping the ILF open has outlined a number of points which we would like to address. 1) The “inconsistencies” in delivery which you mention were the result of unequal take up between different local authorities and was symptomatic of the failings of local authority administered social care support. As a national model of service delivery the ILF is far more successful and cost effective than local authority administered social care. The latest ILF annual report records a user satisfaction rating of 97%. Overheads for the ILF come in at just 2 % of the budget in comparison with an average of 16% for local authorities. It is in fact a model of service delivery that should be built upon rather than shut down. We understand that provisions in the Care Act are aimed at reducing inconsistencies between local authorities, nevertheless the inconsistencies you cite as a problem of the ILF are many times worse in the current system upon which ILF users will now be solely reliant as a result of the closure. 2) You also state that ‘ we understand the Fund is already being wound down, and staff numbers are already reducing’. This maybe correct but it is equally the case that there is very little being done in terms of winding down the ILF that could not very quickly be undone, even after actual closure of the ILF. This information has been provided by ILF staff and a former strategic director at ILF and has been shared with Labour’s shadow DWP team by PCS union and others. This means that if a Labour government were to be elected in May 2015 it will very much be Labour’s decision to go ahead with closure in June. 3) In turn that brings us onto the fact that should Labour be elected to government next May it is they who will be in power and responsible for the UK’s failure to protect disabled people’s human rights under the UNCRPD, and it is they who will be deemed responsible for the continuing grave and systematic violation of those rights when the UN investigation into the UK takes place after the election. We believe this would cause unnecessary and easily avoidable embarrassment to a newly elected labour government with international repercussions. Whilst we welcome Labour’s goal of trying to ensure in the longer term that those currently supported by the Independent Living Fund can realise rights to live independently and with dignity, the ‘whole person care’ through which Labour intends to deliver on this goal is at this stage only a proposal and any benefits resulting from it are a long way off. Moreover, as respected experts in the field such as Professor Pat Thane have pointed out, the current system is simply not functioning at the necessary level. Relying on the integration of health and social care as a solution to the crisis in social care is thus an irresponsible gamble to take with people’s lives. Since the closure to new applicants in December 2010 disabled people who missed out on the ILF have suffered dramatically worse outcomes than existing ILF recipients with equivalent support needs. We have provided Kate Green with a number of case studies showing the reality of independent living for disabled people who would have been eligible for ILF but are now only receiving LA social care support. We are not just talking about disabled people no longer being able to go to work, or ever have a holiday or go to university, we are talking about people unable to leave their homes, left without access to food or water, unable to wash more than a couple of times per week. Whilst the intention of issuing guidelines to local authorities is well meaning, it is unrealistic within the current climate to see these securing the futures of existing ILF recipients. Cash strapped local authorities are very aware of the dangers of setting precedents for providing levels and types of social care support to some individuals and not for others. An LA could easily consider itself to have more to risk by following than not following the guidelines. In order to ensure equity between all adult service users they may well feel they have no choice but to level down. In the short term we are asking that the ILF be retained as the only way to realistically guarantee protection for existing recipients. Disabled people are aware that this is not a big ask: the ILF represents a relatively small amount of money; the ILF will not be wound down beyond easy repair before May 2015. The alternative is that disabled people’s right to independent living will be wiped out, potentially for generations. Once a people lose choice and control over their lives, disempowerment sets in and rights that have been smashed aside over-night can only be won back over a long and hard road. As it stands, if Labour are elected in May 2015, the final nail in the coffin of disabled people’s right to independent living as it currently exists will be hammered in under a Labour government. It does not have to be like this. The Labour Party has a golden opportunity to make a principled stand in support of disabled people and our rights to equality, inclusion and equality by supporting the continuation of ILF. Disabled people are mobilizing and campaigning across the UK, through initiatives like Operation Disabled Vote. A principled stand by Labour on the ILF ahead of the General Election would be welcomed by the 12.2 million disabled people in the UK, our families, friends and supporters. We’re therefore asking people to email or tweet to Labour to say that England must not be the only UK country without an Independent Living Fund and that we know and have shown them the evidence that it is not too late to keep an ILF in England as well as in other UK countries. If Labour want disabled people’s votes then they must give an assurance that in the short term at least they will keep the ILF open until such time as something better can be put in place. Please also contact your Prospective Parliamentary Candidates and let us know what replies you get. as you may have seen Mark Harper may have deliberately misled parliament and said that disabled people’s organisations have told him his government are right to close the independent Living Fund and devolve non-ring fenced funding to Local Authorities. Following DWPs response to an FOI we have now written to those disability charities it seems Mark Harper claims have supported this decision to ask them if they did agree with the government. The charities concerned are DRUK, Mencap, MIND, RNIB, Action on Hearing Loss, Leonard Cheshire Disability and SCOPE. Many thanks to John Pring and his Disability News Service for also working on this issue. A published statement in parliament made in December last year has left Mark Harper the minister for disabled people facing accusations that he misled parliament over the level of support for the government’s decision to close the Independent Living Fund (ILF). government” that the ILF should be closed and non-ring-fenced funding passed instead to local authorities. Having now received a response to a Freedom of Information request about this matter the Minister for Disabled People’s Private Office has confirmed that the Minister does meet regularly with a large number of disability organisations including a regular monthly meeting with the Disability Charities Consortium – an informal coalition of seven disability charities; Action on Hearing Loss, Disability Rights UK, Leonard Cheshire Disability, Mencap, Mind, RNIB and Scope – and attendance at the Fulfilling Potential Forum. We know that those attending the Fulfilling Potential Forum have not agreed with the government’s plans to close the ILF and refusal to ring-fence the money. We also feel it is unlikely, but not impossible, that you as one of the CEOs of the Disability Charities Consortium have agreed with this stance but before we pursue this matter further we would like you to confirm to us whether you have in meetings with Mark Harper agreed with the government’s position that the ILF should be closed and non ring-fenced funding devolved to local authorities. We have posted this on our website and will add your responses to us as and when we receive them. Disability Rights UK has never agreed with government to ILF closure. We have not agreed with government on closure or transfer. On ring-fencing we campaigned in 2014 on the lack of ring-fencing by many local authorities, after we did a Freedom of Information request to find out what local authorities were doing – this was on national media. 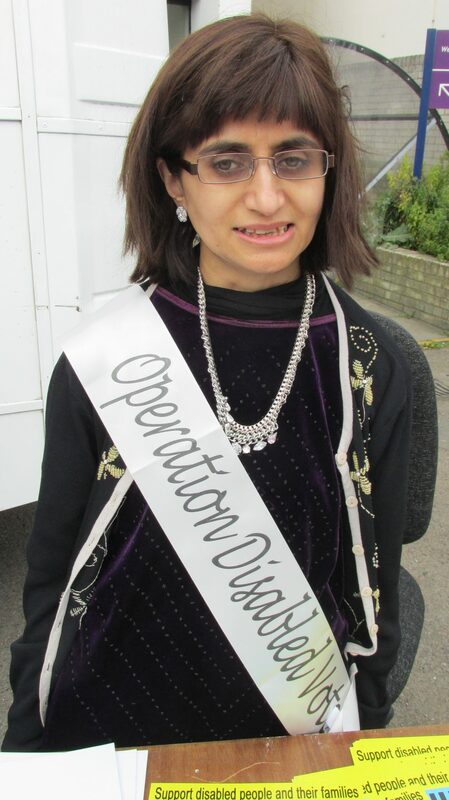 I am currently chair of Disabilities Charities Consortium. Disabilities Charities Consortium CEOs have met once with Mark Harper, on 14 October 2014. It was an introductory meeting at which we discussed the DCC’s priorities in the run-up to the general election and shared our joint policy platform (see attached document) and invited the Minister to outline his priorities up until May 2015. There was a brief discussion about independent living at the meeting, which focused on social care funding and legislative reforms. The meeting did not include any discussion of the Independent Living Fund. The Disabilities Charities Consortium does not have an agreed joint position on the ILF. Our positioning document (attached) calls for Government to reaffirm its commitment to independent living and put in place the mechanisms to deliver this. By the end of the next Parliament, all recipients of state-funded care must have the option to live independently, including being supported in their own home or in a supported living setting. With regard to Action on Hearing Loss, we have not had any conversation with the Minister for Disabled People about the Independent Living Fund. 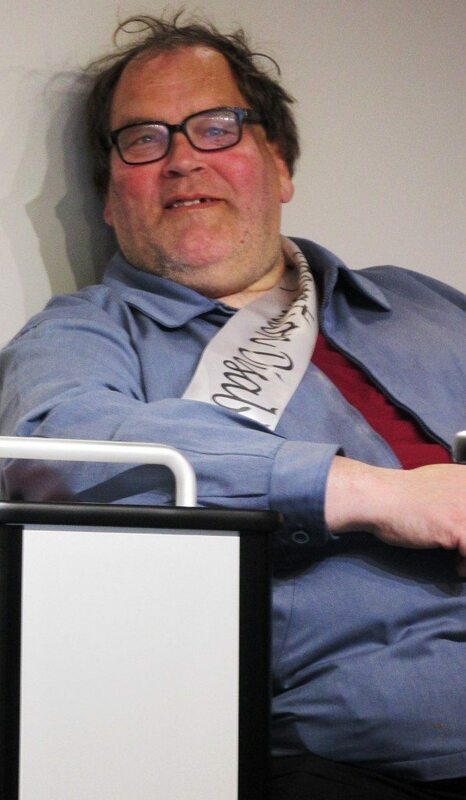 Thank you for your recent messages to Clare Pelham with regard the Independent Living Fund. In addition to the clarification that I know has been sent on behalf of the DCC group, I can confirm that we have had two recent meetings with Mark Harper MP, the introductory meeting between the Minister and the CEOs of the Disability Charities Consortium on 14 October, and an individual meeting on 27 November. We did not discuss the ILF at either of these meetings. In addition, over the last year we have specifically called for the ILF to be retained. Thank you for your email regarding the comment that the Minister for Disabled People made in Parliament in December 2014 about the Independent Living Fund. Scope has held two meetings with Mark Harper as the Minister for Disabled People – the first in September 2014 and the second in January 2015. The agenda of neither of these meetings included a specific item on the Independent Living Fund. We have always been clear that our position on ILF is as set out below. As you know, in our response to the Government’s 2012 consultation entitled ‘The Future of the Independent Living Fund’ (available here:https://www.gov.uk/government/consultations/the-future-of-the-independent-living-fund-ilf), Scope stated that ‘Whilst it may be reasonable to consider bringing the Independent Living Fund (ILF) into the mainstream care and support system at some point in the future, Scope is strongly opposed to closing the fund to existing users at this present time’ and that “the core issue of funding for all care and support services needs to be addressed before any potential consideration of closure of the ILF to existing users”. Since then, Scope has been consistent and clear that we are very concerned about the closure of the Independent Living Fund (ILF) because it is likely to lead to fewer disabled people being able to live independently and because those basic conditions for any movement of the fund into the mainstream care system have not been met. Our most recent position statement on the closure of the Fund can be found here: http://www.scope.org.uk/Scope-responds-lawfulness-closure-Independent-Living-Fund. The Disabilities Charities Consortium has met once with Mark Harper, on 14 October 2014. It was an introductory meeting at which we discussed the DCC’s priorities in the run-up to the general election and shared our joint policy platform and invited the Minister to outline his priorities up until May 2015. There was a brief discussion about independent living at the meeting, which focused on social care funding and legislative reforms. The meeting did not include any discussion of the Independent Living Fund. The Disabilities Charities Consortium does not have an agreed joint position on the ILF. Our positioning document calls for Government to reaffirm its commitment to independent living and put in place the mechanisms to deliver this. By the end of the next Parliament, all recipients of state-funded care must have the option to live independently, including being supported in their own home or in a supported living setting. I hope this answers your query in full, and please do not hesitate to contact me again if you have any other questions. Thank you for your email and giving us an opportunity to respond to what the government has said. As you’ll see from the attached response to the original ILF consultation, which we submitted in October 2012, we called, amongst other things, for a ring-fenced budget allocation, if the ILF were to be closed. We then set out the different developments we wanted to see across Wales and Northern Ireland, were the ILF to close, to ensure a proper funding settlement for the devolved administrations. We believe that the lack of ringfencing is a very serious issue, which the government has not recognised. You may also know that we are a member of the Care and Support Alliance, along with over 70 other organisations, campaigning together for a significant increase in funding for social care. As a member of the Disabilities Charities Consortium, we have met once with Mark Harper, on 14 October last year- our first meeting with him after he took up the new role. It was an introductory meeting at which we discussed the DCC’s priorities in the run-up to the general election and the Minister’s priorities up until May. There was a brief discussion about independent living at the meeting, which focussed on social care funding and the Care Act. The meeting did not include any discussion of the Independent Living Fund. The Disabilities Charities Consortium, of which Mencap is a member, does not have an agreed joint position on the ILF. Our joint policy document, which we use to guide our work together, calls for Government to reaffirm its commitment to independent living and put in place the mechanisms to deliver this so that by the end of the next Parliament, all users of state-funded care services have the option to live independently, including being supported in their own home or in a supported living setting. I hope this is helpful, and welcome you placing responses on your website, so disabled people and their families can see the position that we and other charities have taken.